The sunset last night was rather dramatic. Shot from my back yard. 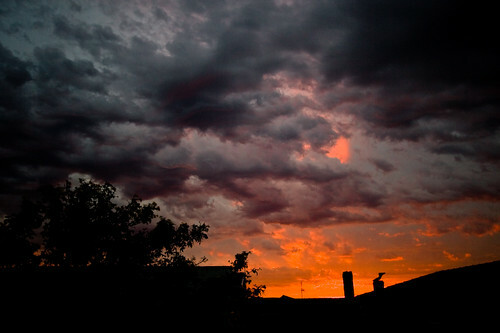 This entry was posted in Photos and tagged Clouds, Sky, Sunset. Bookmark the permalink. Absolutely amazing! If only photo’s came out half as good as this did *sigh*.